With 39 race days a year, the trackside action happens all year round. Visit our What’s On page to find out more information and to buy tickets. Record post war stake money of $470 had been allocated by the Club for the six races. A field of four vied for the Cup worth $260 plus a trophy valued at $42. Because of the unfinished state of the track the Cup was run over 1200m. The first Darwin Cup winner at Fannie Bay was Satan’s Son, owned, trained and ridden by Peter McCracken. Satan’s Son, the only non thoroughbred to win the Darwin Cup, covered the 1200m in 126 seconds. Since the first Darwin Cup in 1956 no Darwin Cup winner had had to survive a protest alleging interference. But there is always a first time and it happened in 1971 when Kentuckey Colonel’s jockey Peter Dempsey lodged a protest against Apian for Interference over the final 100 metres. The protest was dismissed by Stewards. One of Australia’s great racecallers John Russell visited Darwin for the first time in 1972, the year Son of Cyrus won the Darwin Cup (now worth $4,000). It was fitting Russell was on hand to witness the win by a horse many claimed at that time, was the greatest horse to have raced in the Territory. Heading into the 1980’s the Darwin Turf Club really started to kick things along. The introduction of the Triple Crown bonus, saw considerable financial reward up for grabs. Turf Club Chairman Ted Bailey, a long time stalwart of the sport in the Top End, as owner and punter pulled off a remarkable coup when Brinney stormed home first across the line in the 1989 Guineas, Derby and Winfield Darwin Cup, training Triple Crown glory. The 1988 bicentennial Darwin Cup was the first $100,000 race staged in the Northern Territory, an amazing turnaround for the Club virtually decimated by Cyclone Tracy 15 years before. Since the turn of the Century the Darwin Cup has become the biggest sporting event in the Northern Territory with over 20,000 people attending every year on Day 8. As one of only a few dirt tracks in operation on the provincial circuit, the picturesque racecourse in Fannie Bay is the venue which sees several illustrious racing names vie for over 1.95 million dollars in prize money and trophies over the month long event. Standing alongside visitors will be thousands of locals who will proudly showcase the Territory with their unique style and world famous hospitality, that can only be experienced in the Top End. Originally hailing from Perth, Brett has lived in Darwin since 1981 and is married with three children. 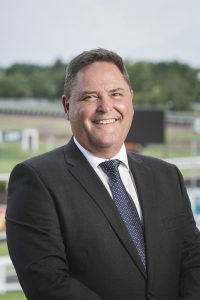 Brett has been on the board since 2002 and was elected as 12th Chairman of the Darwin Turf Club in 2008, following 3 years as Vice-Chairman. He is the Director of several successful companies and brings significant business and leadership credentials to the Darwin Turf Club. 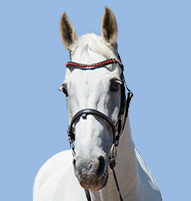 He has a passion for thoroughbred racing and has been involved in breeding horses for the past 15 years. As an owner, he has won most feature races in the NT including the 2001 Palmerston Sprint (El Comba) to the 2010 Darwin Cup (Shout Out Loud). Brett is committed to improving facilities for members at the Club, returns to industry participants and is also a Board Member of Thoroughbred Racing NT. His main objective is to provide the best possible services to members and the industry, while creating a great social hub for the community. Long time Territorian Rob Longuet joined the Darwin Turf Club Board in 2002. 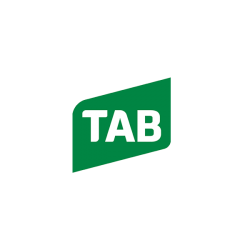 Rob is committed to driving growth in the racing industry across all areas such as horse numbers, prize money and returns to industry participants, he has a strong focused on improving facilities for Members and Trainers alike. 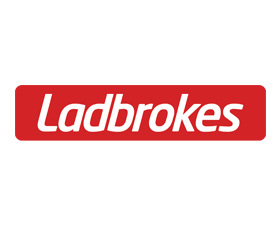 An avid racegoer Rob has been involved in horse racing syndicates since the late 1980s. Holding senior management positions in the retail motor vehicle industry for over 25 years, Rob brings to the Darwin Turf Club Board not only competencies in sales, marketing and cost management but enthusiasm for racing and the vision for betterment of our local racing industry. Cameron is a Certified Practicing Accountant (CPA) with significant experience working within the Accounting Profession, particularly in the Audit and Business Services field. Cameron is currently a Director of locally based finance and salary packaging company, Fleet Choice NT. 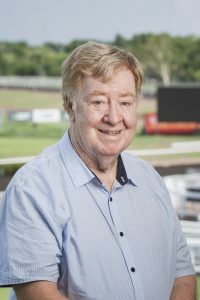 Born in Darwin, Cameron has had a long association with the Darwin Turf Club, owning and racing horses at the Club for most of his adult life. Cameron’s goals for the Turf Club are for it to achieve and maintain a strong financial position, whilst preserving the Club’s ability to continually improve its facilities for all stakeholders. Cameron is passionate about ensuring the long-term stability and growth of the DTC. 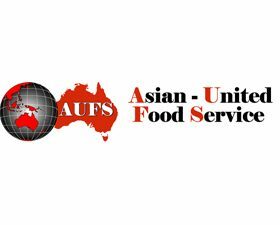 Keith moved to Darwin in 1986 and holds a Masters in Business Administration. He has extensive experience in Banking and Financial Services and has held numerous Senior Management positions. 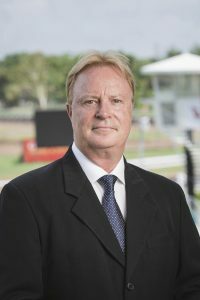 He joined the Darwin Turf Club in May 2011 as Chief Operating Officer and was appointed Chief Executive Officer in January 2014. 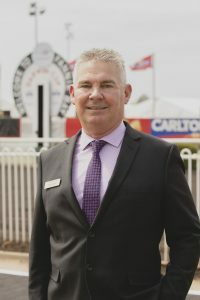 Along with a keen focus on continuing the growth and success of the Darwin Cup Carnival, he is passionate about continually developing the Darwin Turf Club as the Northern Territory’s premium racing and preferred event and entertainment venue all year round while ensuring it maintains a strong financial position. Jon Bourke joined the Darwin Turf Club Board in September 2015. Jon has lived in the Territory for 23 years, originating from Adelaide. Jon worked at TIO for more than 11 years before becoming a Corporate Authorised Representative of a leading National Insurance Broking firm then becoming a Director and major shareholder of this business. He is a Qualified Practicing Insurance Broker, a Certified Insurance Professional and also a Senior Associate of the Insurance Institute of Australia and New Zealand. Jon has been involved with racehorse ownership for more than two decades and has put together many racing syndicates for the enjoyment of racegoers and he considers getting first time owners involved in racing as a great experience. Jon is also the President of the Bernborough Club of the NT a position he has held for 5 years. Originally from cattle country outside of Katherine, Damien joined the board in 2014. Damien loves thoroughbred racing and is an owner in a number of horses in the Northern Territory and also has a passion for working with the retired racehorses he is involved with on his farm. Damien enjoys the challenge of continuing the growth of the sport at Fannie Bay and to play a role in maintaining the Darwin Cup Carnival as the premier event on the Northern Territory Calendar. 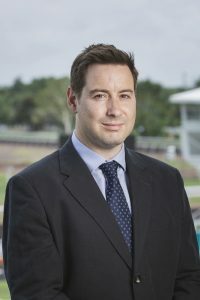 Away from racing, Damien is involved in of a number of successful firms operating in the Territory since starting in business in 2005, holds a law degree and is an experienced company director. Brendan is an active member of the NT racing community and was appointed to the Darwin Turf Club Board, formerly the Committee in 2004. He is the past Treasurer of the Bernborough Club and has previously been a member of the Racehorse Owners Association of the Northern Territory (ROANT) and Darwin RSL Services & Social Club committees. Brendan has a background in public service administration and now runs his own business, Darwin Directions Relocation Services. He is keen to see the Darwin Turf Club maintain and improve its infrastructure and services to attract new members whilst recognising the expectations of established members who have contributed to the strength of the Club over the years. 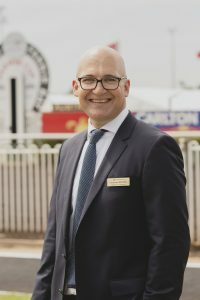 He is committed to the continued growth of the Darwin Turf Club so that it is universally recognised as the major racing centre in Northern Australia, and helping to ensure that the Carlton Mid Darwin Cup Carnival retains its position as the Territory’s leading event. Originally from Adelaide, Michelle Graham has lived in Darwin for 25 years and is actively involved in the local community. Manager of the Parap Village Apartments since 2002, Michelle joined the Darwin Turf Club Committee in 2009. Backed by a 20-year career in the tourism and hospitality industries, she is a valuable asset to the team. 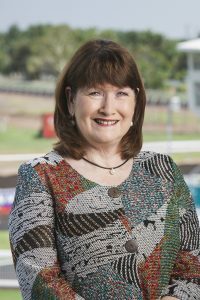 She was appointed as the inaugural Chair of Women in Thoroughbred Racing NT in 2010, an association established to promote and foster the ongoing inclusion of women in the Thoroughbred Racing Industry. As both a horse owner and syndicate manager, Michelle enjoys the fun and excitement of Territory racing. She is a Syndicate Member of The Good, The Bad and The Nag and Women in Thoroughbred Racing. 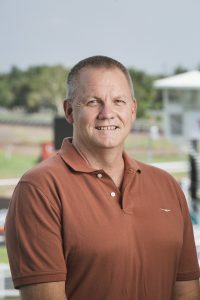 Dale Bicheno joined the Darwin Turf Club Board, formerly the Committee, in 2009. Dale has been the Director of plumbing company Carodale Pty Ltd for 20 years, and brings extensive hands-on experience and business knowledge to the Darwin Turf Club. Dale’s goal is to see the continued expansion of the club, along with the maintenance and improvement of Members’ facilities and privileges. 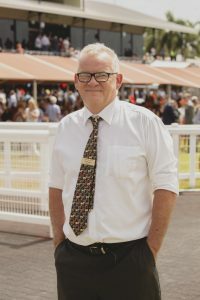 He wants to ensure the Northern Territory’s Thoroughbred Racing Industry remains a thriving one and having owned horses in Victoria and the NT for over 20 years, Dale understands the highs and lows of the industry. He says his love of racing keeps him involved and currently has interests in a number of Darwin horse syndicates. James has been involved with the Darwin Turf Club since 2003 as a member and enthusiastic race day attendee and along with his wife and daughter races a number of horses. With a professional background in Finance, Insurance and Salary Packaging James has held senior management roles and has significant experience servicing Government and Non Government sectors. He is currently a director of the Darwin based business Fleet Choice NT. 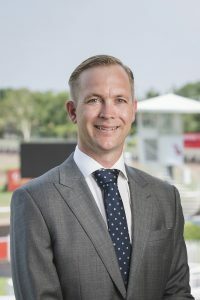 James has a particular interest in growing the brand of racing in Darwin and working with the other Board members to ensure the Darwin Turf Club continues to strengthen its role within the community and standing within the racing industry. Originally from country NSW, Anya arrived in the Territory in 1995 and stayed. Anya has a passion for business, events, the arts and is one of the Northern Territory’s most experienced marketers. Anya is the director of the largest creative agency and publisher of TQ and Territory Taste Magazines. She professionally practices in the areas of advertising, branding, digital marketing, web/online services and integrated communications. Anya completed the Company Board of Director Course in 2017, is a member of the NT Chamber of Commerce and an active participant in BPW. Anya is passionate about promoting the Northern Territory and considers events such as the Darwin Cup Carnival as key to attracting interstate visitors that inject over $32M to our local economy annually. 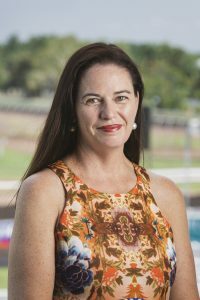 Anya aims to engage with a younger demographic of race goers in the aim to grow the social and participation side of racing in the NT for many years to come. Anya is married to Greg Connor who is a commercial pilot and mother to Grace. She is a keen gardener and has a love for socialising, cooking, entertaining and travel. If there is any opportunity to combine the whole lot at once you can be assured she will give it a go.